Autumn has officially arrived and we are welcoming the latest fashion trends to feature in our new season wardrobes, including crisp whites carrying on from spring and summer. Timeless and classic, this trend calls for bravery in a sophisticated way, with white seen in everything from denim to dresses, tops and even pant suits. Break up your look with bold accessories or luxe gold toned jewellery, or team with neutral colours and palettes to soften the look. White is a versatile colour to accessorise with, so don’t be afraid to add bright heels or subtle gold jewellery depending on your style. Nothing looks more sophisticated than a white blazer and black jeans. When wearing all white choose streamlined silhouettes and structured shapes. We love relaxed pants in culotte styles teamed with a tailored white shirt for the office. 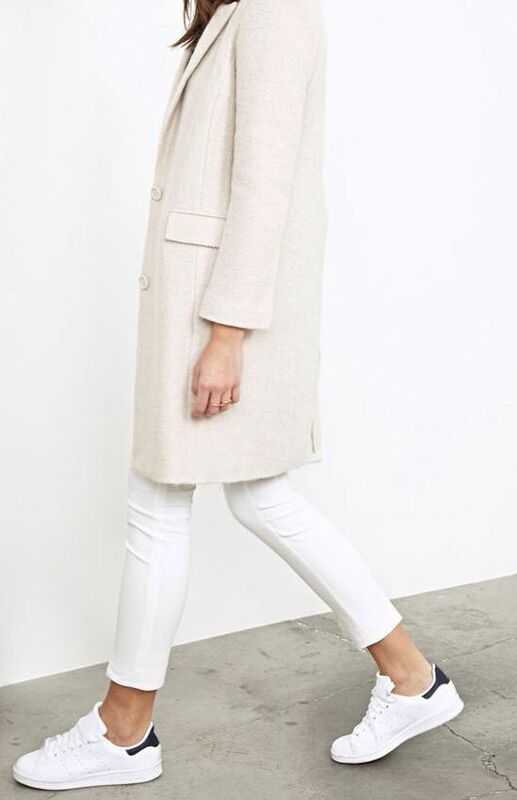 Mix and match monochrome and classic white with colours such as baby pink, beige and camel for the perfect contrast. When in doubt accessorise with black and more black. This will add a sharpness and overall polish to your white look. Burgundy lips are the perfect lip colour to match your autumn/winter whites. Layer up with gorgeous grey knitwear for casual weekend styling. We love teaming a long line grey cardigan with a white tee and light denim jeans. White is a colour that flatters women, no matter what the skin tone white tends to be complimentary. 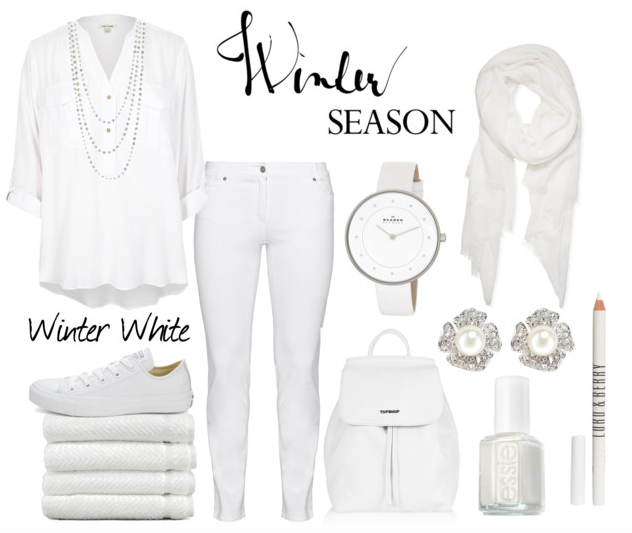 Shop my picks for the chicest white items to try this season. 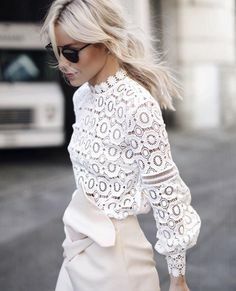 Scroll through for great ways to wear white this season, and a few tips to keep you looking fabulous. Use these outfits as inspiration to wear your white with confidence.